Our Rookie Tracker aims to help you meet our clumsy local on Club Penguin Rewritten so that you can receive an extreme-difficulty and obtain his exclusive background! 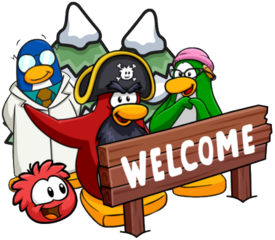 Rookie’s first background was obtainable during the April Fools Party 2017, the 100K Penguin Celebration, the Fair 2017, the Waddle on Party in 2018, during the Penguin Games in 2018 and also the April Fools Party of 2019. Rookie’s second background was the Anvil Background, available during the Underwater Expedition in February 2019. It’s the same background as the one Rookie offered in classic Club Penguin for the Underwater Expedition too. Here is how his background looks like on your playercard! 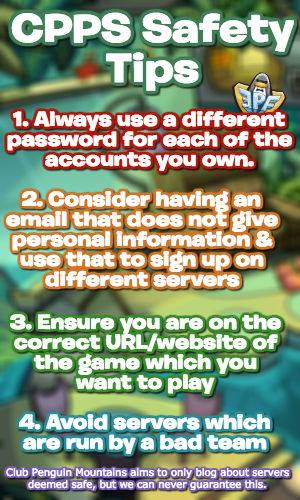 Good luck on meeting Rookie and remember to keep checking back this tracker for an increased chance in being able to do so!